I had forgotten the power of a beautifully written introduction to a history. Sister Kit McNaughton was a nurse from Little River, near Geelong who heeded the call for nurses during the First World War. 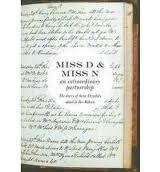 As did many others, she wrote a diary and this book, by Janet Butler presents extracts from that diary. But Butler here is not an editor, stepping to the side to allow the diary and the diarist’s voice to take centre stage (as, for example, Bev Roberts has done in Miss D. And Miss N.) Instead, Janet Butler interrogates the diaries: she triangulates them against other writing; she supplements them with secondary sources; she looks for patterns and changes over time and she listens to the silences. Kitty’s own (rather prosaic) entries take up a small proportion of the book – perhaps ¼ of the text, if that. The majority of the text is the historian at work, always respectful of Kit McNaughton and privileging her perspective, but grappling with the diary as text and the emotional and physical enormity of the unfolding experience that it documents as well. Kit conceives her writing as a travel diary, but she also is conscious that she is chronicling history as well. Kit McNaughton is aware that she is writing for an Australian audience ‘at home’ who will read her diary with a particular consciousness: they will want to see her as the ‘good nurse’ imbued with the discipline, rigour, efficiency and obedience of her professional calling; they will be sensitive over descriptions of Australian suffering and death; and they will share her sense of Australianness. She draws from the rhetoric of the Anzac legend, already being honed in the despatches of the war correspondents and seized for recruiting purposes at home, as a way of presenting herself. In doing so, she contributes to our own understanding of the legend 100 years later. In many ways Kitty understates her own role. As we can see, she was entrusted with the scalpel, and she later worked in the operating theatre and administered anaesthetics- all skills that were denied nurses ‘at home’. She was mentioned in despatches; she won a Royal Red Cross. But soon the silences are not just evasions and glossing-overs but the actual lack of words. Particularly once she reaches Dartford, her entries become summaries, widely spaced and sparser, reflecting her own “disengagement from the war of which she no longer feels so much a part” (p. 197). Kit is no longer on her journey, and she is no longer writing a travel diary. There is no adventure, no sightseeing (which she had earlier managed to do), and Butler suggests that she is probably suffering what we would call post-traumatic stress. Certainly, her photographs show that the war has taken its toll on her. Her hair has gone grey; she has lost two stone; she is in poor health. Statistics alone cannot provide a guide to the impact of war on personal lives. Our journey with Kit has shown biography to be a way of reaching to the level of the personal and private. Stepping beside Kit, an individual, into the aftermath of her war- reading her life, as we once read her diary- offers the possibility of insight into the effects on women, on the relationships between women and men, and therefore on Australian society, that more objective measures cannot. (p. 216). The book is written in the present tense throughout. I must admit that I’m rather ambivalent about the use of the present tense in fiction because it makes me feel edgy and anxious. (Says she who has written this whole review in the present tense!) It’s an interesting and striking choice in non-fiction, and one that I haven’t seen used often in history. I’m not quite sure how I feel about it. It makes me feel edgy here too, just as it does when it is used in fiction, but it certainly has its strengths as well. It brings the intellectual and emotional interrogation of the diary right onto centre stage, and Butler’s frequent use of “we” draws you, as reader, into engagement with the diary as well. 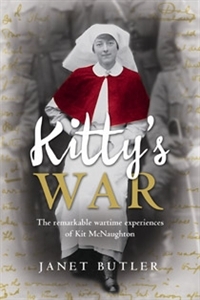 “Kitty’s War’ is a reverent and sensitive tribute to Kit McNaughton. It’s much more than a platform for making her diary available to a wider audience. It shows the historian at work, shuttling between the small detail and wider overarching questions of gender, war, personal identity, Australian identity and the ANZAC legend. You can read Lisa Hill’s review of this book at ANZLitLovers and Yvonne Perkins has reviewed it at Stumbling Through the Past. You can also read Janet’s own guest post about writing the book on a nursing blog. 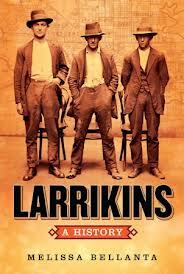 I have posted this review as part of the 2013 Australian Women Writers Challenge. If I were a well-travelled person, at this point I would wave airily and announce that I always try to read a book set in a place that I am visiting. Alas, I am not; I can claim that I read Henry James’ The Bostonians while in Boston, and Dickens while in London…but that’s about it, I’m afraid. So, a couple of weeks ago when we went down to Geelong (a whole 100 kms away! ), I decided that of course I must read a Geelong book!! But where to find a Geelong book? you ask. The answer is: Miss D. and Miss N. In fact, there’s a chance that if you’re on the Bellarine Peninsula that you’ll drive right through the areas named for them: Drysdale and Newcomb. The two women share an entry in the Australian Dictionary of Biography. Drysdale was twenty years older than her friend Caroline Newcomb. Anne arrived in Port Phillip in 1840, aged forty-seven, with the experience of farming in Scotland under her belt, capital at hand, and determined to take up sheep farming in the booming pastoral industry of early Port Phillip. Caroline Newcomb had arrived in Hobart in August 1833 and found a position as a governess with the family of John Batman, one of the members of the Van Diemen’s Land- based Port Phillip Association that looked across Bass Strait to establish pastoral runs in what they perceived (incorrectly) as land for the taking. When she arrived in Port Phillip on April 19 1836, she was one of only thirty-five women in the settlement, out of a white population of 177. In March 1837 she shifted to Geelong, presumably as governess to Dr. Alexander Thomson. The two women met at Dr Thomson’s house where they formed a strong friendship, despite the twenty year age difference between them. This friendship became a partnership that lasted twelve years when Anne asked Caroline to join her as a pastoralist on Boronggoop, a squatting run on the Barwon River at Geelong. In August 1849 they achieved their wish “to have a piece of land &c a stone cottage” when they moved to Coriyule, a beautiful stone house that they had built (and which, it seems, still exists). I read with sadness that Mrs Hoogenraad died last week. I haven’t seen her in many, many years and have wondered occasionally whether she was still alive. ‘Mrs Hoogie’, as we called her, will be known to probably hundreds of middle-aged Heidelberg kids who spent Saturday nights at ‘Hoogies’ during the 1970s. 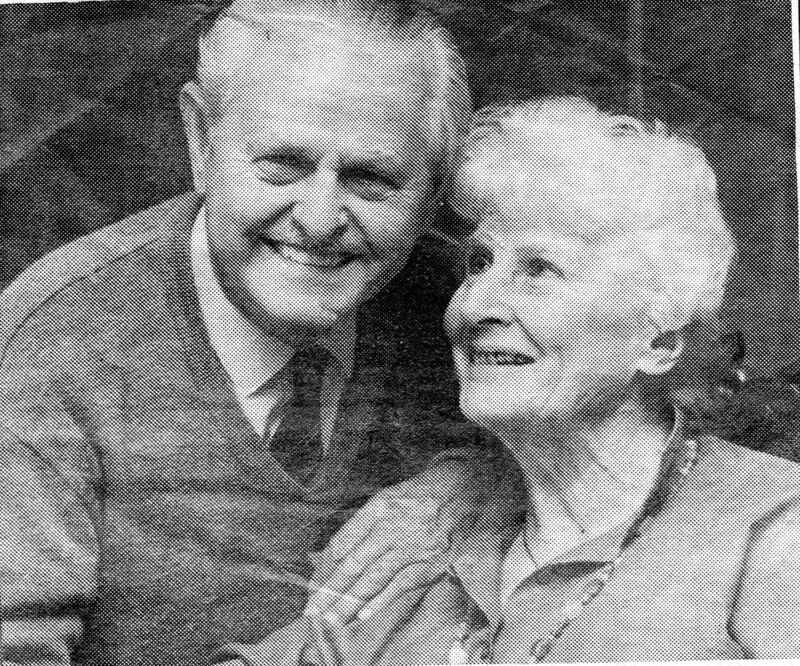 At the time of the ‘Jesus Revolution’ and Larry Norman and The Late Great Planet Earth, Mr and Mrs Hoogie ran a house church at their very small home in Heidelberg. They were in their 60s and their children were adults- I wonder now how their children felt about this endless stream of adolescents going to their door, burdening their parents with tearful accounts of relationship breakups and crises of faith? I suspect, too, that the neighbours were not terribly impressed either as the cars lined up along Oakhurst Avenue, and young people spilled out into the garden. Still, thinking back, we were very, very well behaved young people, considering. 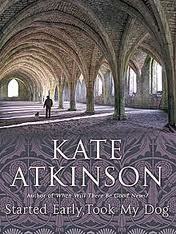 Kate Atkinson is a favourite author of The Ladies in my bookgroup. We’ve read several of her Jackson Brodie books, and Behind the Scenes at the Museum is one of my all-time favourite books. But I must admit that I think I’m just starting to tire a little of the Jackson Brodie series. I looked back at the reviews I’d written of her books on this blog- One Good Turn and When Will There Be Good News (and I’d read Case Histories and Behind the Scenes before I’d started blogging here) and I think that I could make exactly the same observations about this book as I did with her earlier ones: that you need to suppress your fear of being unable to keep up with such a huge array of characters because it all comes clear at the end; that red herrings and coincidences abound; that she is really having fun with the genre etc. etc. Atkinson does reference events that occurred in her other books, but not so much that you’d feel excluded if this was the first Jackson Brodie you’d read. It’s like a little wink to the initiated, but unfortunately The Ladies and I found ourselves racking our brains to remember the specifics of the earlier books. I noticed in my other reviews that I didn’t say much about plot- no doubt from a fear of giving things away in a plot-driven book- but I found that my reviews were of absolutely no use in triggering memories of the book I’d read. So, in anticipating that a) Kate Atkinson will probably write another Jackson Brodie after all even though she said she mightn’t and that b) I’ll probably read it—- here’s a plot and character summary for future reference. In this book, as in Atkinson’s others, there are doubles, parallels and counterpoints. Tracy witnesses the abusive treatment of a child in a shopping centre and somehow ends up with the child Courtney: Jackson witnesses a dog being mistreated and somehow ends up with the dog. There are two murdered prostitutes; two private investigators; two children looking for their roots; lost memories and lost children, and the hunters become the hunted. There are two narratives here- one is a flashback to 1975 policing which evokes the television series Life on Mars beautifully, while the other is set six months ago. The flashback narrative is intentionally confusing but it gradually settles into something more definite, while the current day plotline becomes far more tentative and unresolved. The missing child is a theme in Atkinson’s writing that goes right back to Behind the Scenes and there is certainly an elegiac,yearning quality that seeps through the otherwise conventional (if subverted) crime fiction elements of the story. But I must confess to feeling that I’d read the book before and had almost been taken back to where I started with her first book Behind the Scenes at the Museum. I think that perhaps she should give Jackson a bit of a breather. Although having said that, I must confess being tempted just a little by her new book. I must just wait a while, though. Did you catch First Footprints on television on Sunday night? If not, hie thee hence to i-view and catch it there. I think that many of us of a certain age can recall sitting cross-legged on the floor of the school hall, watching black and white film reels of traditional Aboriginal people in the desert (possibly the Desert People film, produced in 1966?) It may well have been shown by the Religious Education teachers who were often retired missionaries, and in my mind the film is linked with the “mission boxes”, little cardboard money boxes that were distributed during Lent “for the missions” among Aboriginal people. Ah-so many questions now, but not at the time. Watching in the half-light of a school hall in the 1960s, smirking and tittering over the bare breasts, what was reinforced was the utter strangeness and primitiveness of a lifestyle so thoroughly ‘other’ than ours. When I think about it, I haven’t seen such films for several decades. I’d like to think that it was because we have become increasingly aware of sensitivities over images of people who have died, but I can’t imagine that this was the case in the 1970s and 1980s. 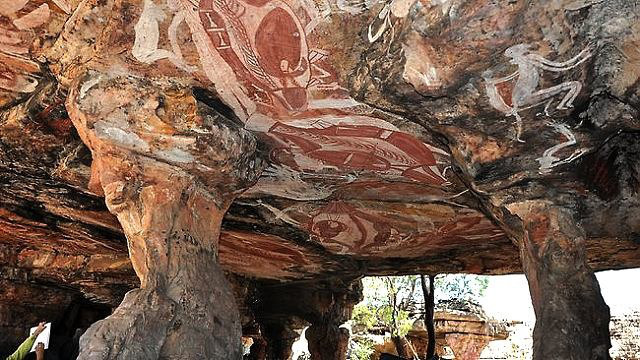 Seeing the footage again on Sunday night, though, I was overwhelmed by awe at the sheer age of the aboriginal peoples as survivors and vicariously proud of their deep connection with the land. No primitiveness now: instead resourcefulness, adaptability, grit, spirituality. I found myself holding my breath at the footage of Narwala Gabarnmang. I remembered reading about this discovery but I hadn’t realized the depth of colour and the intricacy and density of the artwork. The rock shelter looked like a cathedral, with a similar sense of the spiritual mixed with the very human striving for beauty and expression. I found myself sitting very still, utterly transfixed. I didn’t expect this to have such an effect on me.